Perfect condition, low km's, super fuel efficient and useable on the highways. Scooter was bought last spring for my mom because she was wanting something fuel efficient to get around town, but she bought an electric vehicle now so we do not use it anymore. 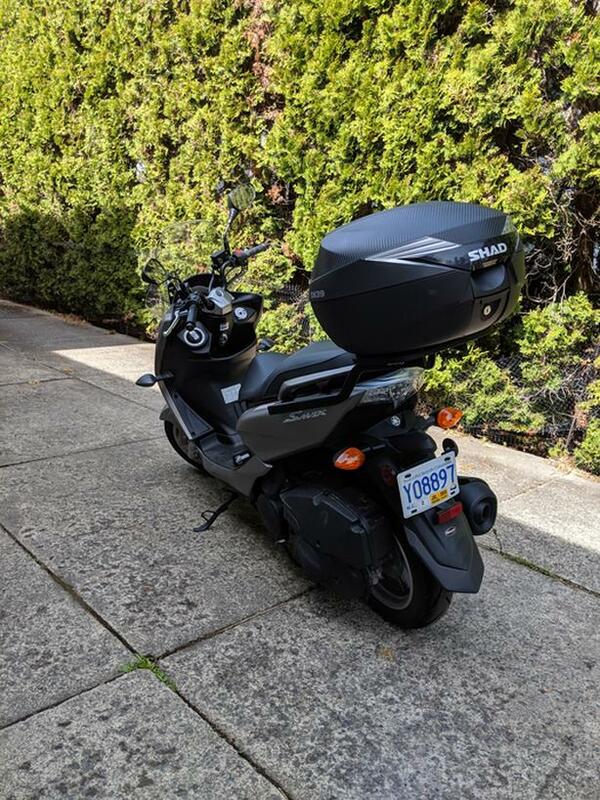 That being said, this scooter runs great, is fun to use, and is super practical. It has lots of storage space, and is very inexpensive to use. I estimate about 1.5l/100km is the mileage when I use it. With that being said, it is not ideal for super tall riders. I am 6'4, and the seat ergonomics are a little tight. Not impossible, but not the best. If you're under 6'2 you should be a perfect fit though. Price is OBO but considering the mint of it I'm not wanting to move too much. I will consider trades for a cruiser style bike.